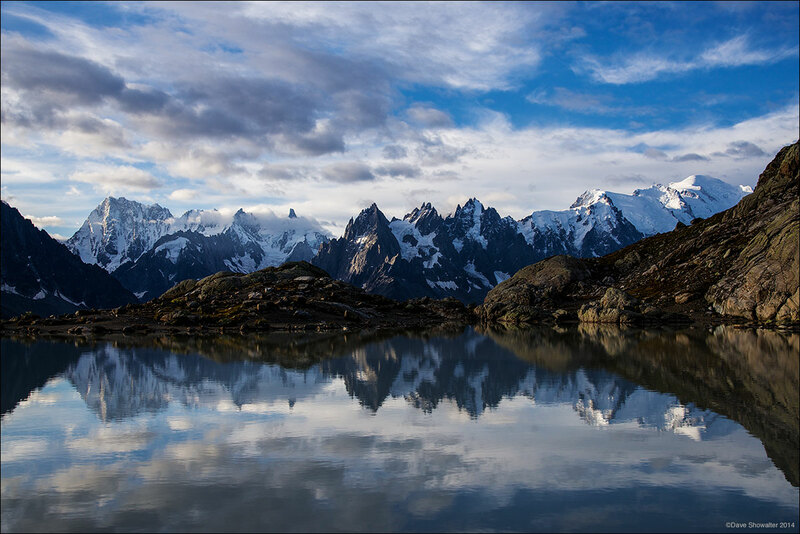 Mont Blanc, Chamonix Pinnacles, and the Grand Jorasses - the Mont Blanc massif are reflected in still waters of Lac Blanc. Refuges along the Tour Du Mont Blanc give the trekker a place to rest and refuel while staying high in the Alps. Photo © copyright by Dave Showalter.